OUACHITA BAPTIST UNIVERSITYisa private four-year Christian liberal arts university in Arkadelphia, Arkansas. Year after year, Ouachita is ranked among “America’s Best Colleges” by such publications as U.S. News & World Report and Forbes. Students also earn state and national recognition for accomplishments ranging from scientific research and business competitions to student publications and musical performances. We even host an annual Scholars Day to celebrate academic achievements. In other words, Ouachita has a well-deserved reputation for providing an outstanding liberal arts education – an education you can experience firsthand. 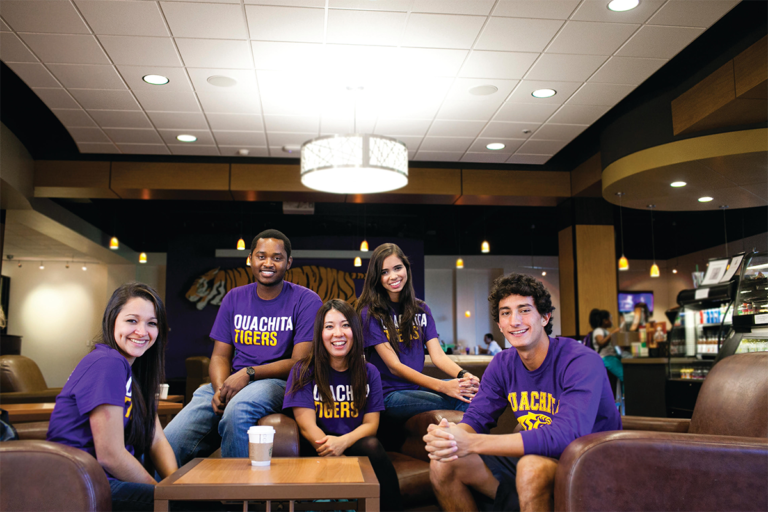 95% of Ouachita students live on campus, making this a home away from home where you can develop lifelong friendships. With more than 40 clubs and organizations on campus, there are lots of exciting ways to get involved. OBU’s recreational life program also offers many exciting ways to enjoy Ouachita’s natural surroundings. From intramural sports to outdoor adventures ranging from camping and canoeing to disc golf and rock climbing, Ouachita has much to offer. Additionally, more than 20% of Ouachita’s students compete on one of the university’s 14 intercollegiate sports teams, including men’s teams for baseball, basketball, football, soccer, swimming, tennis and wrestling, and women’s teams for basketball, cross country, soccer, softball, swimming, tennis and volleyball. 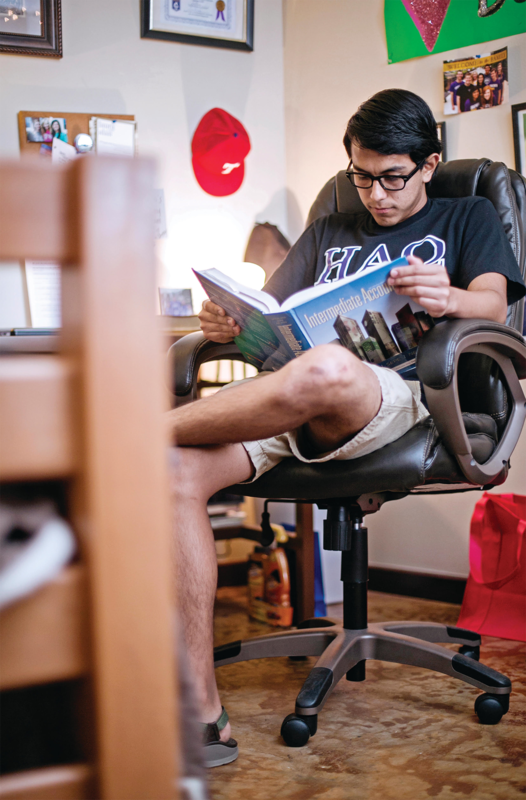 Enrollment: 1,500 students from 30 states and 30 nations. Gender: Male 47%, Female 53%. Minority Enrollment: 15%. Average Age: 20. Accreditation: Higher Learning Commission of the North Central Association of Colleges and Universities. Other accreditations in business, dietetics, education and music. Tradition of Service: Since 1997, students have volunteered more than 80,000 hours as part of Tiger Serve Day, a semi-annual community service event. Each year the Grant Center for International Education at Ouachita sponsors a Fall Break trip to give International students and MK’s the opportunity to experience a new facet of the United States. This year, students enjoyed a trip to New Orleans, where they toured Oak Alley Plantation, went on a swamp tour in the bayou, ate local Cajun food, listened to live jazz, and toured the famous French Quarter. Picture: Camilla Ferreria, a Sophomore Kinesiology major from Brazil, had a great time holding “Elvis” the baby alligator during the swamp tour. Providing students with opportunities to apply English outside the classroom while engaging in the local history and culture is a strong emphasis in the ESL program each year. Last Fall, ESL students had the opportunity to visit the Senate floor at the Arkansas State Capitol in Little Rock. Students also had the chance to participate in traditional fall activities like pumpkin carving, making s’mores, and going on a hay ride. Picture: ESL students, faculty and staff enjoyed visiting the Senate floor at the State Capitol. The International Food Festival is a major event on campus each February. This year’s theme was “Taste Our World.” Over 500 people attended and had the opportunity to hear great live entertainment representing different parts of the world while sampling cuisine from 5 different continents! 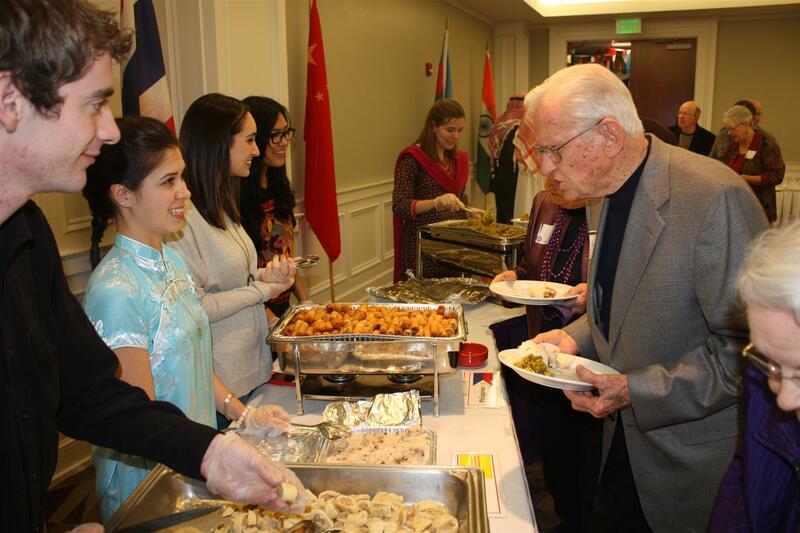 Picture: Dr. Daniel Grant, president emeritus of Ouachita and founder of CGE, talks with students about the dishes they’ve prepared. The Grant Center for International Education is named in honor of Dr. and Mrs. Grant.